At Broadcast India, veteran Film Mixer and Studio Owner, Jonathan Wales presented a Keynote address in the Bombay Exhibition Centre October 12th. The keynote topic brought Jonathan’s unique perspective of 25 years working in the professional audio world addressing next generation audio mixing and how to handle complex scenarios in the mixing world. He addressed the current difficulties in off-the-shelf editing software and how to manage it better using a KVM system to provide greater functionality and convenience for the workstation operators. In addition to Jonathan Wales’ keynote speech, he held an industry-specific technical session on Oct. 13 based on the advantages of building high-performance mixing studios using Avid’s Pro Tools | S6 and IHSE’s award-winning KVM solutions for advanced studio audio mixing. On Oct. 13, the magazine Digital Studio India also put on a great event for the 2nd annual Digital Studio India Channel Partner Awards at Hotel Sahara Star in Mumbai. IHSE was invited to attend as special guest with Jonathan Wales. Both, Jonathan and Manny Patel (CEO of IHSE USA) presented awards to the winners. After producing records in his native London, Jonathan moved to LA to work as a re-recording mixer on movies. 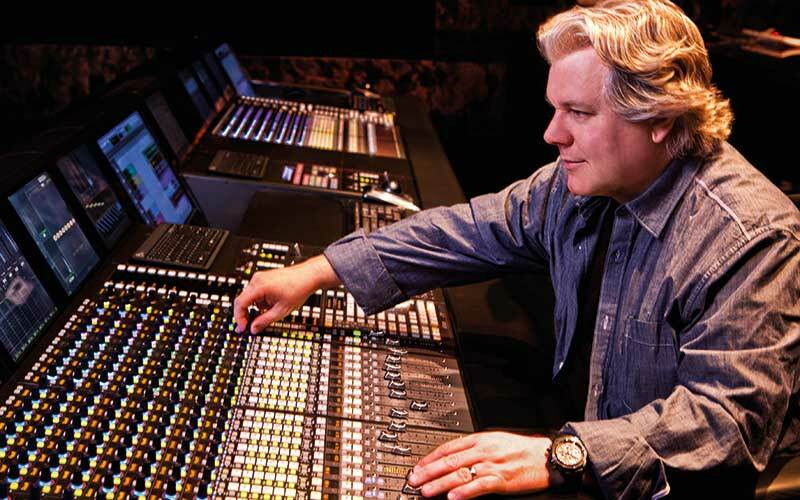 Having worked at Universal Studios, Jonathan’s passion for sound and technology led to the creation of Sonic Magic – a leading independent facility. In 2014, Sonic Magic joined forced with Wildfire studios expanding and creating Wildfire Sonic Magic. Jonathan combines his re-recording mixing with a deep desire to push forward and explore the boundaries of innovation in the world of post production.